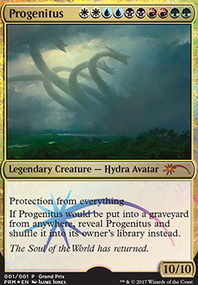 Does Vesuva work on Legendary Lands? vesuva scape shift can vesuva enter as copy? 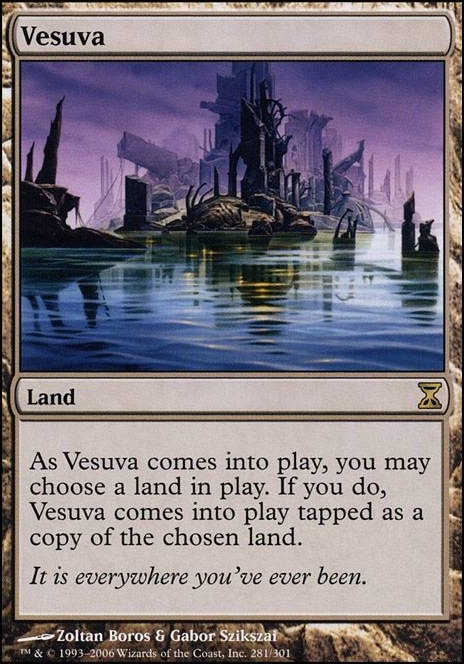 As Vesuva enters the battlefield, you may choose a land in play. If you do, Vesuva enters the battlefield tapped as a copy of the chosen land. Since you're red green, you could pretty easily throw a Valakut package in there. 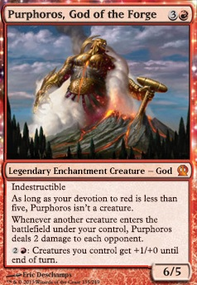 Valakut, the Molten Pinnacle , Thespian's Stage , Vesuva , and Scapeshift . Gives you extra value from playing Mountain s and gives you a game winning combo. 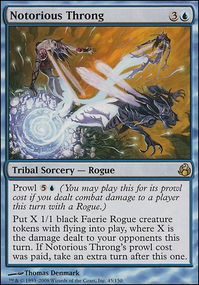 Combos really well with landfall guys like Omnath, Locus of Rage , Rampaging Baloths , and Lotus Cobra . A few other cards that could help with that strategy, Boundless Realms as a second Scapeshift effect. Also, great with the landfall dudes. Hour of Promise and Tempt with Discovery to grab Valakut + Thespian. Prismatic Omen helps a whole lot, but doesn't do much outside of the combo except ease color generation. Since most of these are instant/sorceries they work with your Commander's ability as well. 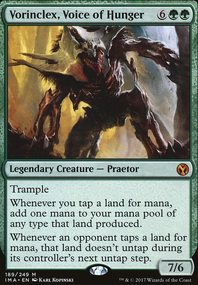 I'm also a Gruul commander player. 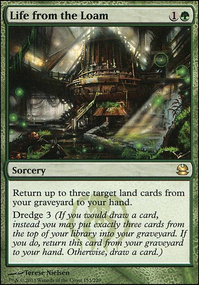 I run a Borborygmos Enraged deck, and it's a bit of a lands matter / burn deck. Hence my suggestions, lol. I can see how Leveler and Shared Fate work together — you get to play from their library, but you no longer have a library for them to play from, so they never draw a card. However, I don't believe that Timesifter works with this combo, since it has each player exile the top card of their library, not draw it. In this case, Shared Fate's replacement effect won't occur, so you'll exile your top card (none) and they'll always win, taking all the turns. I'm also concerned that you won't be able to reliably cast their cards for a few turns. 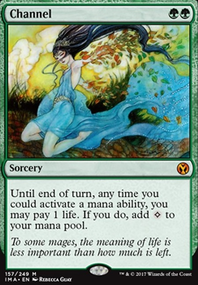 Other than Vesuva copying their lands and Black Lotus , your own deck doesn't have any mana-fixing, so you'll be mostly relying on playing their own lands to get the colors you need. Still a fun deck. +1 from me! Thespian's Stage , Vesuva , Isolated Watchtower all work nicely alongside Valakut. 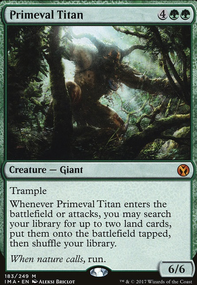 Get that Jaya Ballard into the mainboard.